A brilliant all-round show helped Sri Lanka Under-19 thrash Australia Under-19 by three wickets in their youth Test match at the SSC ground yesterday. The Sri Lankans reached the required target of 112 runs in the last over of the day with just two balls to spare. 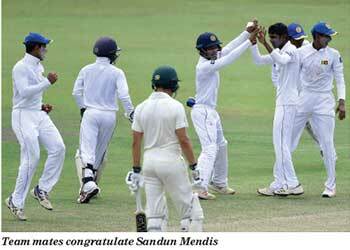 Rohan Sanjaya and Sandun Mendis played major roles in the second innings to wreck the Australian line up by taking four wickets each. The visitors were bowled out for 151 runs in the second innings with Jarrod Freeman making 52. 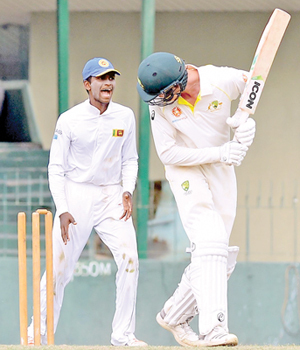 Tissa Central, Kalutara spinner Rohan Sanjaya and Richmond’s Sandun Mendis took four wickets each to restrict Australia Under-19s to 151 runs in the second innings as Sri Lanka Under-19s pulled off three wickets victory in the three-day Youth match at the SSC grounds on Saturday. 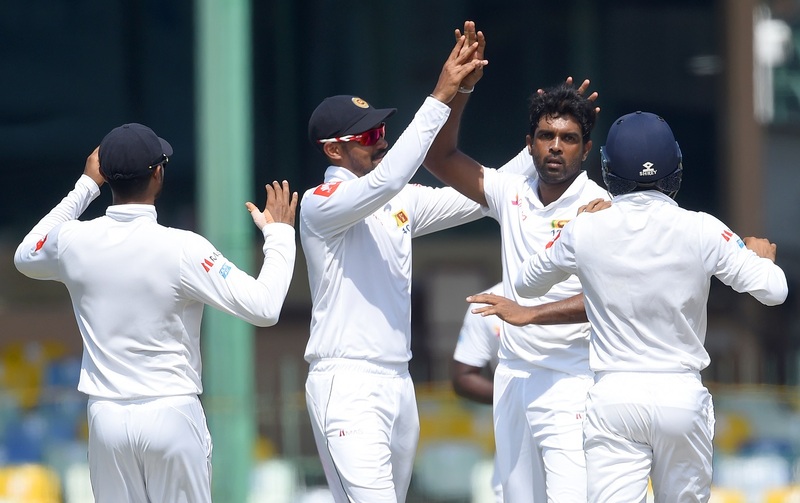 Commencing from the overnight score of 287 for seven wickets in the morning the hosts declared their innings after three overs with a lead of 40.In their second essay the visitors batted for 66 overs but could muster only 151 as Sanjaya and Mendis bowled the bulk of overs. The duo bowled almost 50 overs and provided the key for victory. When Rangana Herath takes the field for one last time in Galle today, there will be tributes for the gentleman cricketer who has an unblemished record on and off field. 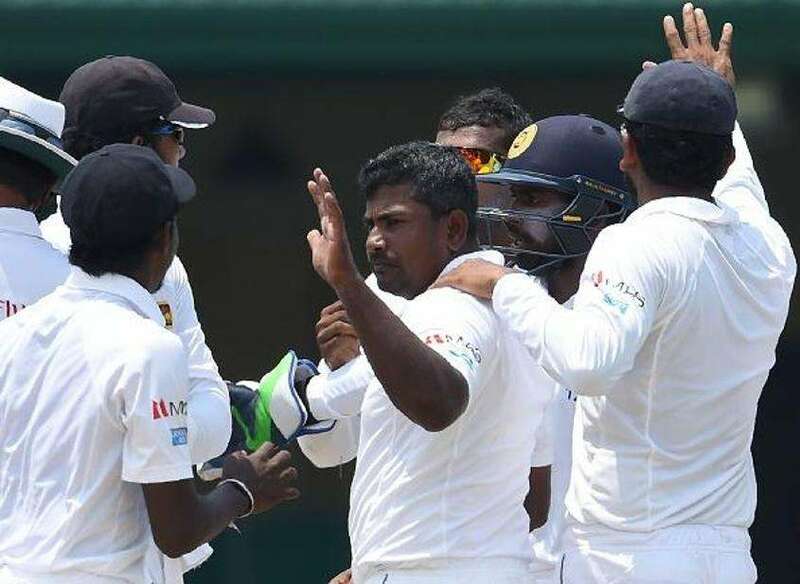 Sri Lanka will host England in a three-match Test series but Herath will only play the first Test starting on November 6, thereby ending a career spanning nearly two decades. With 430 wickets and counting, Herath can walk off the field with his head held high. He has achieved what no other left-arm bowler has done in the history of the game. With five more wickets in his last appearance, he will become number seven in the all-time list of highest wicket takers, led by our own Muttiah Muralidaran (800). It is a phenomenal achievement for a late bloomer. Among them are 34 five wickets hauls out of which 26 came off in home conditions. Read the rest of this entry ? Agar introduced himself to the world in 2013 as a 19-year-old left-arm spinner who smacked a 98 on Test debut, while batting at No. 11, on an Ashes tour. His career didn’t quite take off from there as expected. He has played only 26 international games so far, and has only become a limited-overs regular in recent times. 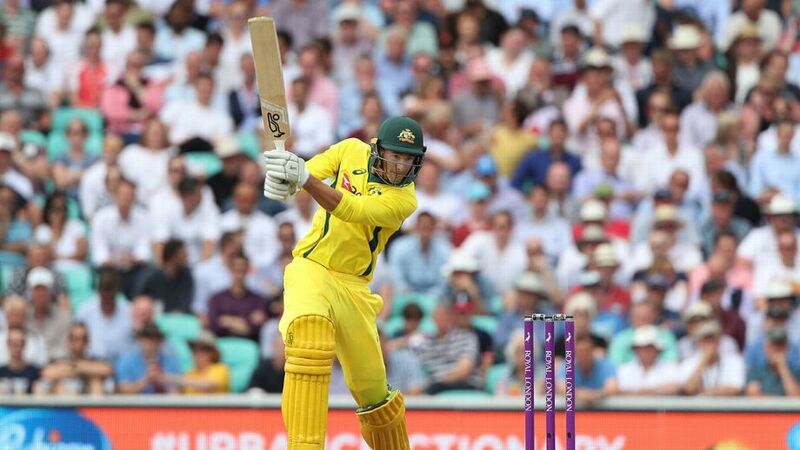 Ashton Agar played a solid innings Getty Images Read the rest of this entry ? You are currently browsing the archives for the spinning art category.